Texas bluebells (Eustoma russellianum): growing, planting, caring. 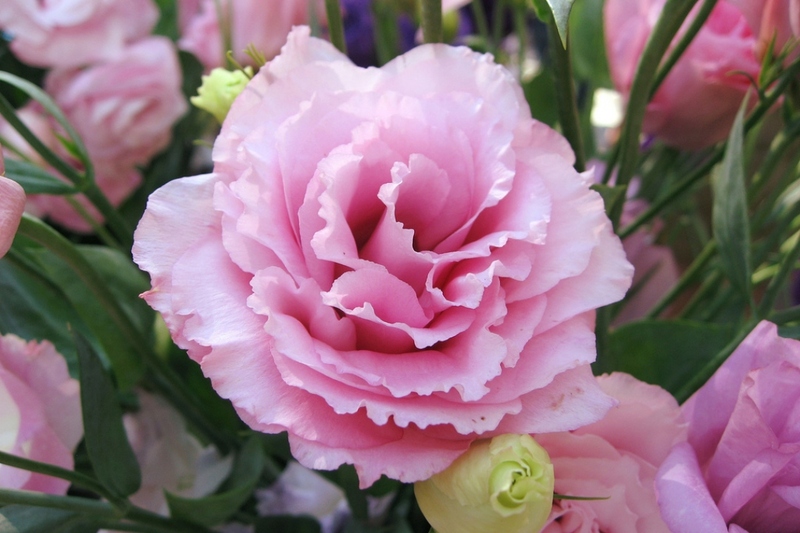 A lovely flower, particularly popular in the cut-flower market. 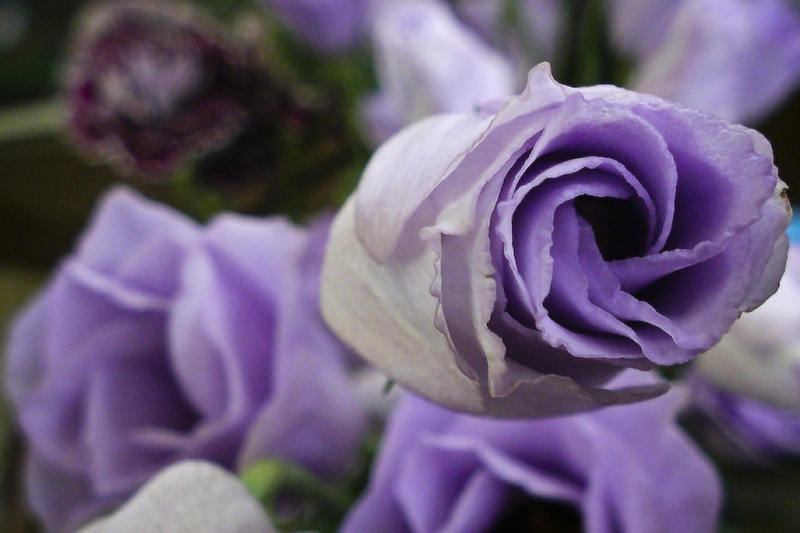 Eustoma russellianum - Texas bluebells - or Eustoma grandiflorum, is a species of flowering plant in the gentian family, native to warm regions of the southern United States and northern South America, typically found in grasslands and in areas of disturbed ground. It is an herbaceous annual growing to 15–60 cm tall, bearing blue-green waxy leaves and showy bell shaped flowers in blue pink or white, each borne singly on an upright plant. 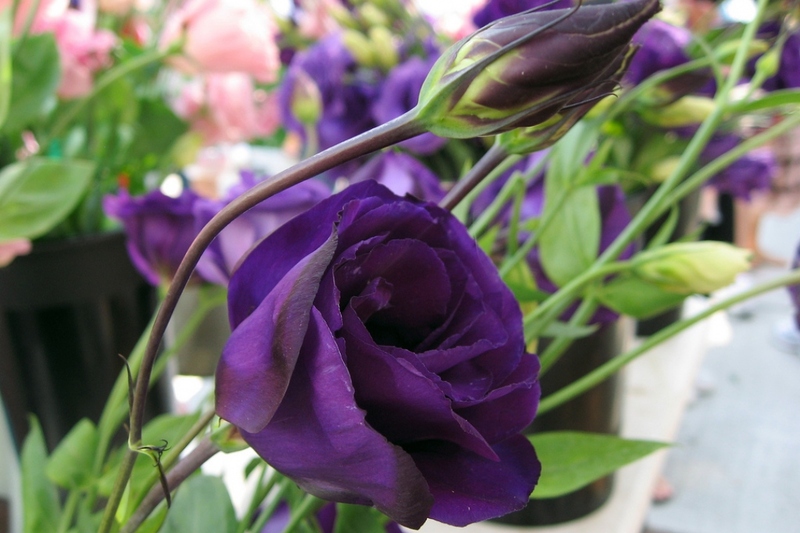 Many cultivars are on the market, with 'Bolero Deep Blue' being one of the most popular. If you hope for a summer bloom in the first year, you must sow the Texas bluebells early in the season, under shelter. They require a long period of warmth before flowering - and at least 5 months elapse between sowing and the first flower. Inside: You can sow under shelter from January or February, in a warm (at least 20 °)temperature, to produce earlier plants that you'll be able to put in place from May. Be careful, the seeds are small! Sow clear in a pot or tray filled with a good seedbed, adding if necessary some crushed charcoal to limit rot. Do not cover the tiny seeds as they require light to germinate. Spray and place the pot in the light, at a temperature of 20 to 25 ° C. If necessary, you can wrap it in a plastic bag to keep it warm and moist until germination, which takes 10 days to three weeks. Outside: In a mild climate, you can sow later, all spring or early summer directly in place for a biennial crop. Be careful, germination is sometimes slow, 10 to 15 days. Put the seeds to soak in water for 24 hours before sowing to speed it up. When the young seedlings are big and strong - bearing 4 leaves, about two months after sowing - transplant them into individual pots and keep them in a cooler place (15 to 18 ° C), but still bright. You will put them in a outside a few hours a day, at least two weeks before the final planting in the open soil in a warm and sunny place., when theres no risk of frosts. If you buy potted seedlings, you can plant in early May for mild climates and a little later in the more northerly regions. Find them a warm and sunny place. Water lightly in the first few days after planting, and after the first signs of growth, water regularly throughout the season. In pots, water regularly all summer: the potting soil must never dry out. Lisianthus fear frost! You will need to sow again next year!